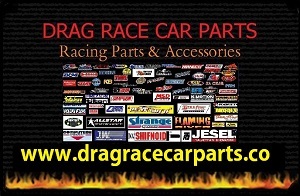 Drag Race Car Parts Strives To Sale Parts For Less, Our mission is to provide the best Products and Service for the best Price Possible. We will be adding extra features over the next few months, So Please Bookmark our page and visit back regularly. We have a HUGE INVENTORY and would love to have you as a customer for all of your Racing Parts and Accessories for your ride. WE DO CARRY and HAVE EVERYTHING THE BIG NAMES HAVE!